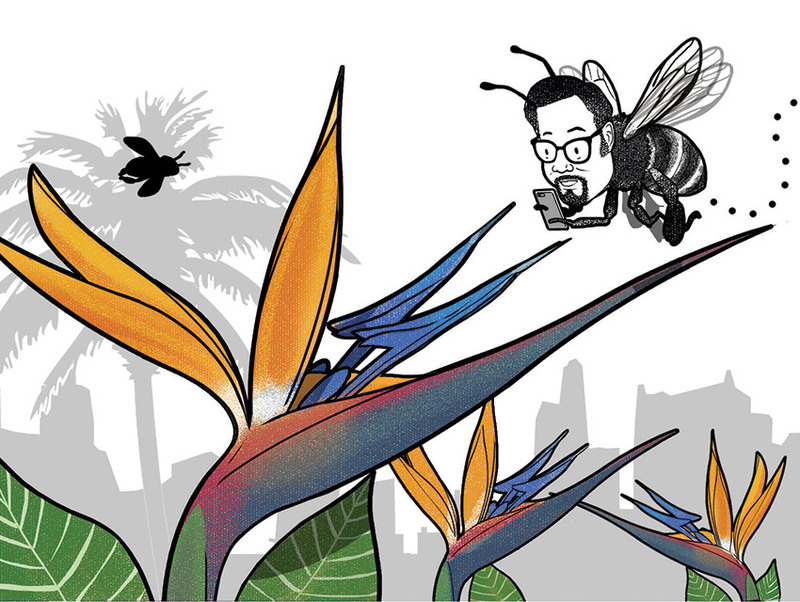 When Did the Bird of Paradise Become the Official Flower of L.A.? To celebrate the city’s 171st birthday in 1952, Mayor Fletcher Bowron declared the tropical plant (it’s native to South Africa) as L.A.’s floral emblem. The orange-and-blue flowers soon became a hot item in nurseries. Officials also considered the geranium, calla lily, and bougainvillea, but Strelitzia reginae had friends in high places: Seed magnate Manfred Meyberg and his men’s club, a group of 100 powerful executives with green thumbs, lobbied for the birdlike bloom.